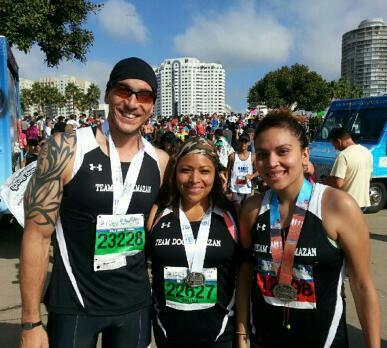 Members of Team “Doc” Almazan, including Salina Jimenez (middle), completed The Long Beach 1/2 Marathon and 26.2 Bike Tour on Sunday. We’re running to remember Army Sgt. David Almazan in this year’s Marine Corps Marathon.